It will be my pleasure to join media icon George Noory on Coast to Coast AM this evening at 10 pm PT / 1 am ET. I look forward to discussing my two new releases in the Prepping for Tomorrow series with George. The United States faces many threats for which we should all be prepared. CYBER WARFARE, my #1 bestseller in eight Amazon categories, analyzes the use of cyber attacks to destroy our critical infrastructure. 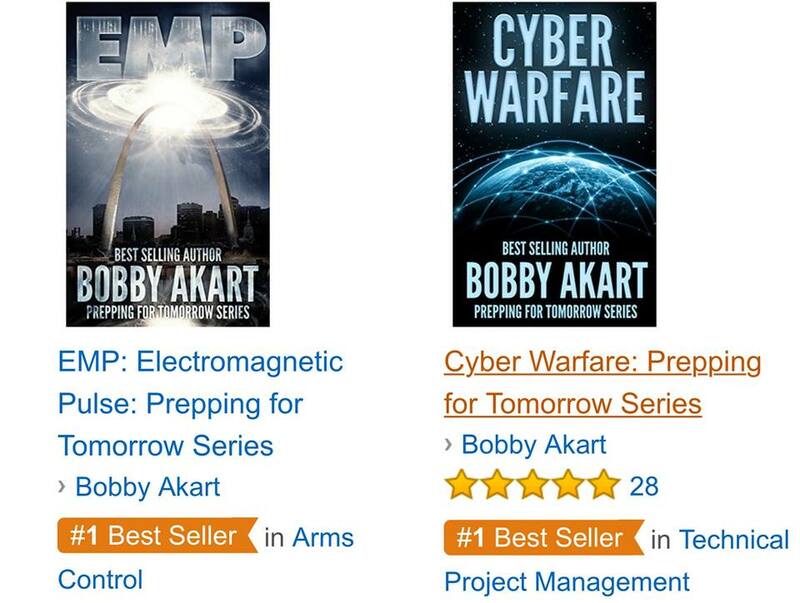 EMP: Electromagnetic Pulse, also a #1 bestseller, addresses the impact a nuclear delivered EMP bomb will have on our nation’s power grid. Most importantly, we will discuss what you can do to prepare for both eventualities. Phone lines will be open. I look forward to taking your questions and sharing my knowledge of prepping with you. Listen on SiriusXM 146, I Heart Radio or one of the 642 stations across the country. Call in during the second hour to ask a question. Just listened to the podcast, thank you for all of the info! Can you say if the metal body of a car is sufficient as a faraday cage for protection of under-hood electronics if it is solidly grounded to earth?